At Gateway CrossFit Personal Training in Clayton, our sole purpose is YOU. 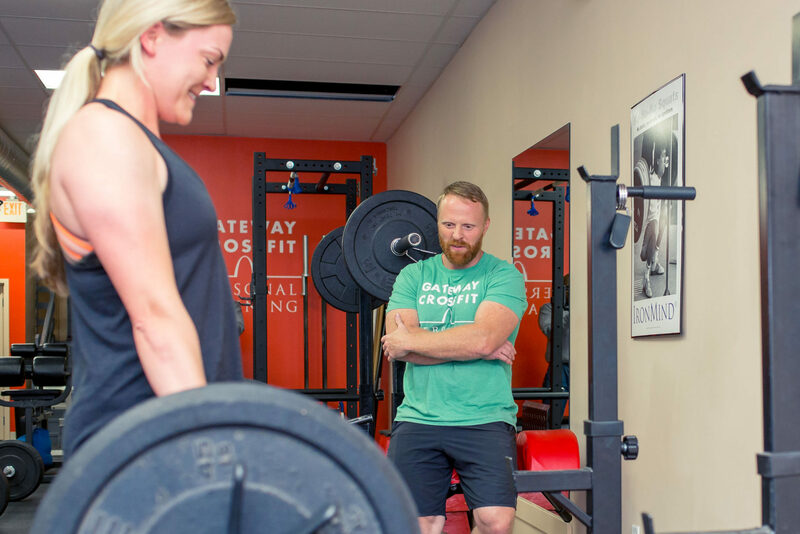 If you’re tired of working out alone, bored with your routine, not seeing positive changes anymore, or if you’ve never exercised in a gym atmosphere, our CrossFit personal training will change your life. CrossFit is the ultimate workout; the most effective, high-energy, fun way to meet your fitness and wellness goals. Our Gateway personal trainers will motivate you to be the best you can be–and not just at your training sessions, but in life. With CrossFit, there are an endless number of functional exercises that utilize every area of your body. 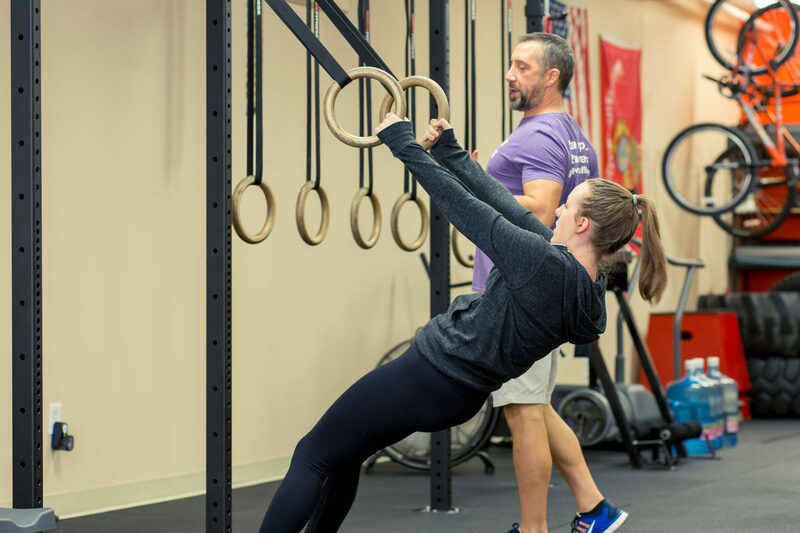 In order to have a safe CrossFit workout designed just for you, your limitations and your goals, it’s important to have a professional that knows CrossFit inside and out. Overdoing it and injury must be avoided. We know how hard it can be sometimes to rein yourself in once you get started! On the flip side, it can also be hard to push yourself to the next level; having a trained professional to encourage you will lead to better results. And if you’ve never had a fitness routine before, it’s extremely important to start with a personal trainer to have a safe, results-driven plan. We will bring out the best in you and help you reach your goals. 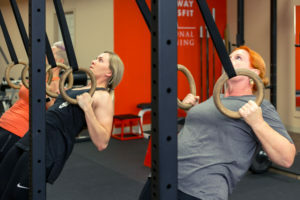 Whether you’re looking to lose weight, tone and strengthen, alleviate immobility and pain, or you just need a boost to re-energize your current fitness routine, Gateway CrossFit training will give you the confidence to tackle anything. You’ll feel better about your capabilities and how your body looks and moves. Each achievement inspires new levels of confidence and greatness! At Gateway CrossFit, working out is actually fun! Because of the fast-paced, varied nature of each session, boredom can’t creep in and laughter is common. As personal trainers, we encourage the joyful moments and know it’s important to alleviate the feeling of “working” at fitness. Instead, we think of it as a fun choice with big rewards. Gateway CrossFit trainers will inspire you to keep going, to tough it out through the moments when you want to give up, and help you get you in the best shape of your life. Achieving things you never thought possible will carry over to success in your everyday life. Your new healthy habits and successes can lead to career highs, deeper relationships, and a more motivated you. Yes, we’ll admit it. Some days the only reason you come to see us is that you paid for it. We get it! Hiring a Gateway personal trainer keeps you honest and rewards your body with the exercise it needs. When you pay for something, you’re more invested in following through and that’s good for the soul. Once you’ve finished your high-energy CrossFit session, you’ll be so glad you did it! No mundane workouts here! 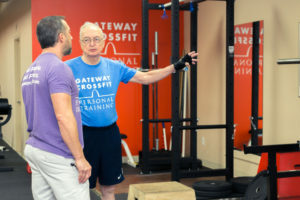 Customized CrossFit personal training sessions at Gateway are tailored to your needs, limitations and goals. 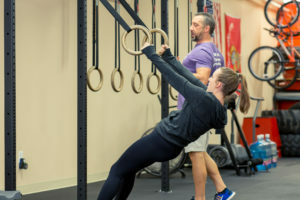 Personal CrossFit training helps with functional movements in your everyday life and will help you avoid injury, strain and the frustration that often leads to giving up. Everyone has tough days–whether it’s work-related, personal or just the feeling that you’re not getting where you want to be with your lifestyle change. We are good listeners who will help you through those times. And there’s no better way to cheer up and work it out than with an invigorating workout knowing you have our support. At Gateway, our lifetime of expertise means we can share proper tips and recommendations on training, nutrition, and health. That translates to you getting trusted workout and lifestyle information for a well-rounded, healthier you without having to sort through a lot of research and misinformation. We say it all the time: total fitness is not a short-term fad. It is a lifestyle change for a lifetime of wellness. Once you dedicate yourself to getting fit and healthy, Gateway is here to help you make that change over time, encourage you when you feel like giving up, and celebrate your victories. Before you know it, the guidance from our trainers will inspire you to reach your goals and stay there. You’re busy–why not make the most of every minute with personal training sessions at Gateway. 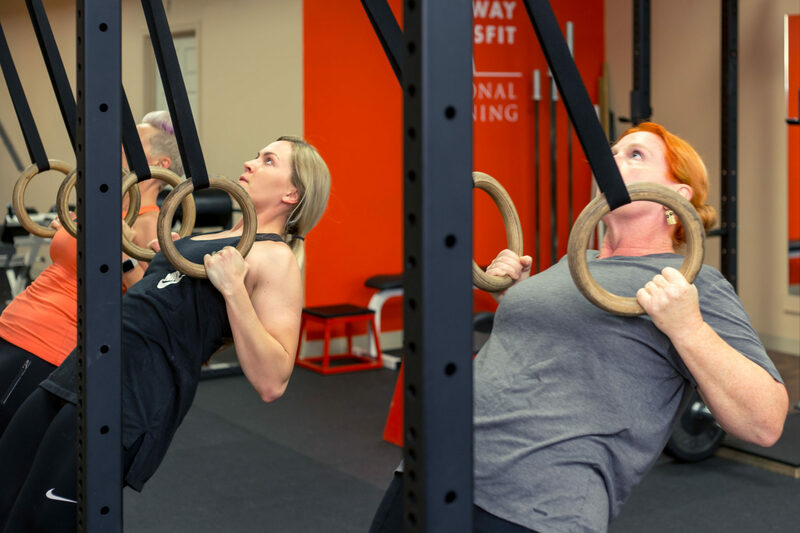 We’ll ensure you get the most of each total body CrossFit session, giving you the gift of an efficient, effective workout that leads to total wellness, all while eliminating hours at the gym! Physical fitness and health have been a life-long journey for us. CrossFit is the workout that dramatically changes lives; the best results come from working with an expert Gateway CrossFit personal trainer. Experience has taught us what can’t be learned from a book or a couple of classes. Proper form and the right mix of cardio, strength training, balance, core work, and flexibility are essential to an overall pain-free experience and a healthy, more comfortable life. Gateway CrossFit Personal Training offers that life. Contact us today if you have questions or schedule your first visit free! We look forward to meeting you… 314-726-4702.